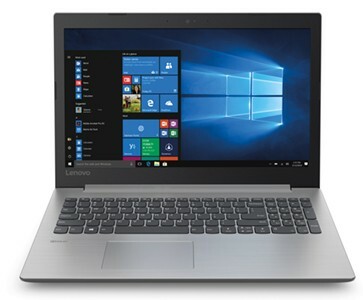 Lenovo laptop ideapad 330-15IKBR 81DE01GNMH. 15,6 inch Full HD Led scherm. Intel® Core™ i5-8250U Processor. Totaal 8 GB werkgeheugen. 256 GB SSD opslag. Intel® HD Graphics 620. WiFi 802.11ac. Bluetooth. Windows 10 Home 64. 2 x USB 3.0 en HDMI.